Colorado is a prime cannabis travel destination. Before the legalization of “Recreational Marijuana” in a variety of states, Americans had to pack a passport and cross the ocean to find their cannabis destination. 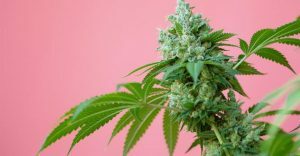 Today, a select few states offer “Adult Use” marijuana, easing the burden of a big-budget international travel, to get the opportunity to spark up some of the most refined marijuana on the market. Travelers simply have to cross a few state lines, and maybe a few lakes and rivers to find their way to cannabis friendly destinations. These destinations are chock full of unique cultural experiences enhanced by marijuana. 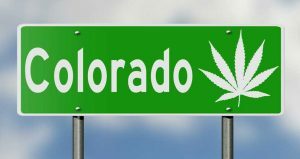 There are some key things to keep in mind when venturing in to Colorado as your cannabis travel destination. Travelers to Colorado should keep in mind that even though marijuana is legal, there are a few dos and don’ts when it comes to consumption. In Colorado, it is legal to purchase marijuana at “Recreational/Adult Use” dispensaries. However, it is not legal to spark up in the parking lot, in your car, in your hotel, rental property (unless it’s 420 Friendly), street corners, etc. Wherever your cannabis destination, be sure to research their consumption laws prior to booking travel and accommodations. In places like Colorado, platforms such as my420tours.com are a great resource. You’re sure to find answers to your questions, as well as find and book 420 Friendly hotel accommodations. There are also 420 Friendly house rentals, but once again, make note of the rules of the house. 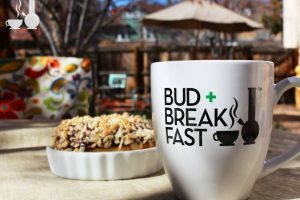 Often Colorado hotels and houses may not allow smoking flower, so if your vision for your trip to Colorado includes sparking up a joint with your travel companions, you should probably look elsewhere…like The Adagio Bud & Breakfast. The Adagio’s vintage charm and location are just two of the many assets it boasts for the cannabis traveler. At specifically 420 friendly places, you can smoke your choice of marijuana wherever you’d like – at the breakfast table, while enjoying a Wake & Bake Breakfast (not-infused), on the couches in the living room, while chatting and sharing stories with other guests, on the patio, while enjoying the Colorado outdoors. 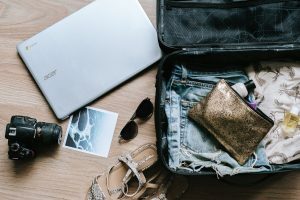 Now that you’re thinking about packing your bags and heading out on cannabis adventure, keep in mind, only local dispensaries can legally supply cannabis products. You may think Colorado has dispensary lined streets. Yes, it’s true, Colorado does have more dispensaries (Medical Only and Recreational combined) than it has Starbucks and McDonald’s combined. This makes exploring the vast cannabis industry’s offerings exciting, and perhaps overwhelming. Do your research ahead of time so you can identify what dispensaries you would most like to visit! What happens when you get to your cannabis destination? First things first, toss out any preconceived notions about what you think a marijuana dispensary would look like. Dispensaries come in all shapes and sizes. They are extremely clean, often very modern spaces, with ample staff to guide you through their product selections. But before you get to peruse the displays, you must show your ID prior to entering the separate purchasing area. Oh, and you must be at least 21 years of age. Colorado Dispensary, Good Chemistry. Photo by Ellen Jaskol. Dispensaries are where I hear my favorite cannabis tourist question, “So, I can buy marijuana here? 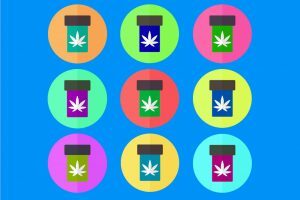 !” It always makes me smile when the bud tender checking their ID says, in a normal volume, “You sure can.” Remember, in Colorado cannabis has been around for long enough that for Coloradans, going to a dispensary is as normal as going to a pharmacy. So, you have to decide where should you stop to make your purchase. With such an abundance of options, you should also look at the product menus to scope out what products you will want to purchase upon arrival. Every dispensary has a wide variety of marijuana flower for sale at extremely reasonable prices. You’ll find pre-rolled joints, blunts, a wide assortment of vape pens, and disposable vapes. You’ll also find more specialized products such as concentrates with confusing names like “live resin” and “budder.” Oh, and get ready to feast your eyes on every edible imaginable – including infused sparkling waters, tinctures, and topicals. How do you even know where to begin? Cannabis industry professionals are passionate about marijuana, whether from a medicinal or recreational perspective. They have the answers you’re looking for, and will guide you to the product that is right for you. Kyle Schwenn, Concentrate Buyer at Smoking Gun Apothecary, whose beautiful, pre-prohibition themed dispensary serves about 30% cannabis tourists, described his staff as tour guides. Although they hear a lot of the same questions from tourists, they never seem to tire of answering them. If you have any questions at all regarding cannabis in general, ask! Colorado budtenders take the role of correcting misinformation very seriously. The basics of that misinformation generally center around public use, correct dosing, and transportation laws. If your travels in Colorado take you north, to the quaint college town of Fort Collins, you’ll find places like Infinite Wellness Center. 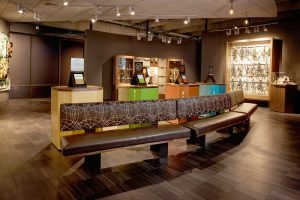 Infinite Wellness Center is a highly awarded and recognized dispensary known as a pioneer in the Colorado cannabis industry. Since 2010, they have seen their share of regulatory hurdles, and overcame each of them to ensure that they can serve their customers. 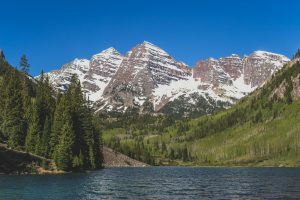 They serve locals, as well as tourists enjoying nearby Rocky Mountain National Park, and other Colorado lifestyle experiences such as camping and hiking. Max Poling, of Infinite Wellness Center said, “It’s not uncommon to see out of state IDs in Colorado.” In a similar fashion to Denver dispensaries, customer education is paramount when interacting with all customers, especially tourists. “Medical marijuana refugees” are Adult Use customers who book extended stays in Colorado to explore alternative treatments for ailments, without changing their residency to obtain a Medical Marijuana Card. If you are a medical marijuana refugee, seek out the dispensaries which have a medicinal focus. And make sure to go in the morning or other low traffic times so you can get all of your needs met by your budtender. Call ahead of time to figure out the best time to visit. The staff at Infinite Wellness is extremely passionate about helping people restore their quality of life, and they welcome customers with product questions to come in during the week, preferably in the early mornings, for detailed education. There are medicinally focused dispensaries throughout Colorado which love to serve medical patients and provide education and guidance needed. 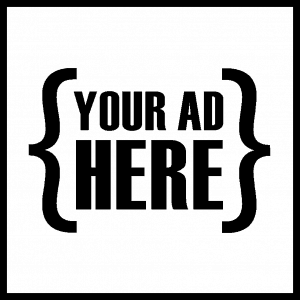 Take some time to seek out a location that appeals to you most! Be sure you’re clear on the consumption laws in your destination, be careful when using marijuana – it’s a lot stronger than it used to be. And, NO, you cannot take it across state lines…or on a plane! Even though cannabis tourist questions may be similar, each traveler is unique, coming from near and far to explore cannabis for their own personal reasons. Each dispensary goes above and beyond to educate each customer and will do the same for you. When planning your trip, keep in mind that there are some factors to consider, both personally and legally. Do your own research. Not only will most of your questions be answered, but learning is part of the fun and excitement of experiencing legal marijuana. There are ample resources on the Internet so be sure you read up on local laws, products, proper dosing, and any other information you need to make informed decisions that will result in you having an incredible first experience into the world of legal marijuana. NINA COMES TO YOU FROM THE HEART OF CANNABIS-LAND, DENVER, COLORADO. SHE'S A PASSIONATE INDUSTRY PROFESSIONAL, CONSUMER, MARIJUANA ADVOCATE. AND AUTHOR OF "UNICORNS AND DONUTS - THE ART OF CANNABIS SALES."